The Graduate Program in Theology aims at the cultivation of a broad knowledge of the Catholic Christian tradition in its sources, doctrines, and practices. The program offers a comprehensive theological formation for those interested in developing professional competence for catechesis and religious education, secondary theological education, or the pursuit of further doctoral studies in theology. The program is also open to those who desire to study theology in an academic setting apart from specific vocational goals. The Master of Theological Studies degree introduces and explores the major themes in Catholic doctrine and practice, as well as the research methods that are central to theology as an academic discipline. Required and elective courses permit the student both to develop a solid theological foundation and to pursue an area of interest among courses in doctrine, biblical studies, morality, spirituality, and Church history. After completing the required 30 credit hours of graduate course-work, students are required to take a three-hour comprehensive exam. 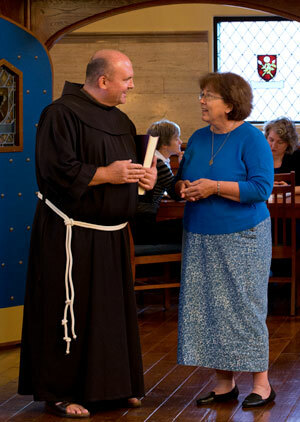 The Master of Theological Studies degree with a concentration in Catholic Education allows students the opportunity to earn a more specialized degree by taking four education courses that are offered each summer by the Providence Alliance for Catholic Teachers (PACT), which is centered at Providence College. The Master of Arts in Theology degree introduces and explores the major themes in Catholic doctrine and practice, and emphasizes the development of research skills that prepare the student to engage in further theological study and writing. Required and elective courses permit the student to develop both a foundation and pursue an area of interest among courses in doctrine, biblical studies, morality, spirituality, and Church history. Two areas of concentration are available with this degree: the theology of St. Thomas Aquinas (Aquinas Studies) and the study of Early Christianity (Early Christian Studies). Students may then take one elective course chosen from across the Theology course offerings. After completing the required 30 credit hours of graduate course-work, students are required to take a three-hour comprehensive exam based on a bibliography of primary sources, write a thesis under the guidance of a director, and offer an oral defense of the thesis before the faculty. The Master of Arts in Biblical Studies develops the student’s acumen for an informed and critical reading of biblical literature in the light of the Christian faith, and emphasizes the development of research skills that prepare the student to engage in further theological study and writing. Historical and cultural studies as well as literary and theological analyses are called upon as resources in the course of the program. Students who enter with a reading knowledge of the biblical languages may satisfy the requirements for THL 519 Introductory Hebrew and/or THL 529 Introductory Greek by successfully passing a language proficiency exam administered by the Graduate Program in Theology. After completing the required 36 credit hours of graduate course-work, students are required to take a three-hour comprehensive exam, write a thesis under the guidance of a director, and offer an oral defense of the thesis before the faculty.